In cold weather, fingers can become painful and stiff, leading to a loss of dexterity that makes hard work even more difficult. 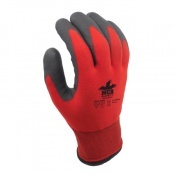 The Kinco Warm Grip Thermal Lined Gloves 1790 are designed to keep your fingers warm and comfortable, providing you with all the grip and dexterity you need. With latex coated palms and fingers as well as a knit wrist, you'll be protected from cold weather and all your heat will stay where you need it: inside your gloves. 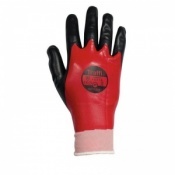 These gloves are made with a 100% acrylic knitted shell, providing you with soft, warm and lightweight comfort. This fibre is extremely durable for even the toughest jobs, and wicks away moisture from your hands to keep you as comfortable as possible. 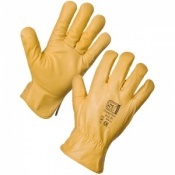 To ensure these gloves stay fresh and in top shape for longer, they're machine washable without any loss in protection. 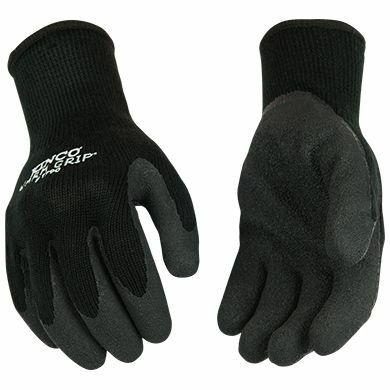 Warm work gloves are no good if they allow debris to enter your glove and make your hands uncomfortable. That's why these gloves feature a snug knit wrist, staying close to your skin to prevent debris from entering while keeping all your heat inside.